We (mum, dad and 6mth old baby) stayed at the Piscis in Sept 2000 for a week (- the week that Germany beat us at Wembley). We found the pool to be a little small, but what do you expect being 200m from the sea.The rooms were a little basic, but clean. Entertainment every night in the bar, not much room though, need to get there early. Food wasnt the best, but was edible. 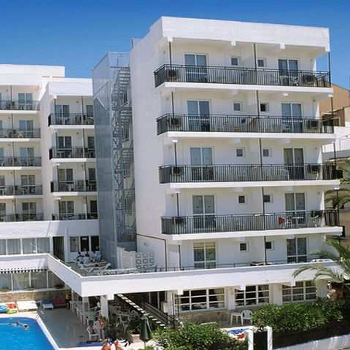 Excellent location, right next to the marina, pedestrian area and beach/sea. A few good bars close by. Management/staff were generaly helpful, except when we tried to keep our room at the end, they made us transfer to a different one for 8 hours! All in all, not too bad, 3/5 - could try harder. The food was terrible spam for tea!!! pool was small and full of leaves.. i would never return here!